At Elastic FM after six years of successful development, we are now going through a period of change or ‘transition’, and that got me thinking about change in general. And in our daily lives we use the word change in lots of different ways. We talk about the –“change in our pocket” – “the traffic lights are changing” etc. etc. Thankfully, for you reading this & for me writing it, I shall pass on the other 23 definitions, but if you feel deprived of not knowing what they are then I will leave you to go to the dictionary!! The next port of call in my quest for some clarity I moved on to Rogets Thesaurus – that well known book that gives us alternative meanings for words, and found that there were 14 different alternatives, which when added to the 23 definitions gave me a grand total of 37 possible meanings of the word ‘change’. So where to next I wondered – Ah! – The Bible – there is no information on how many times the word ‘change’ appears in the Bible, but good old Google did direct me to the ‘Top 24 Bible verses about change’. If we add that in to our 37 definitions we now have 61 possibilities!! I feel a headache coming on!! 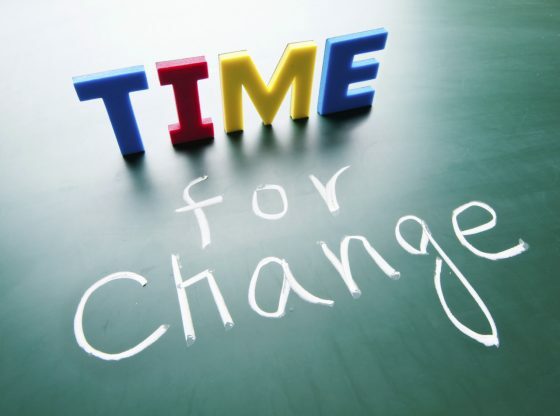 But seriously, ‘change’ is a word that affects each and every one of us, throughout life, some of it we are able to control, and some is foisted upon us. Whilst for many of us such change seems a long way away, nearer to home we are all experiencing ‘change’. A new baby in the home, means ‘change’ (I speak from experience! ); a new job brings ‘change’; the loss of a loved one brings ‘change’, and so on and on. So what can we do about it? Well we can let it get us down, or we can embrace it, even in the darker moments, and see it as a challenge, a way forward, new horizons etc.